﻿ Are Bats Blind? How Well Can Bats See? Are Bats Blind? How Well Can Bats See? Most people believe in the myth that bats are blind. This myth may have originated from the fact that bats are mostly nocturnal mammals. We have information here about whether or not Bats Avoid Lights. The truth however, is that bats are not naturally blind. All bats can see, except those with eye defects. Although all bats are blind at the time of their birth, they begin to see soon after. Young bats begin to see seven to nine days after birth. Their eyes are usually small and not as well developed as those of other nocturnal creatures. Other senses are more developed in these mammals to make up for this condition. Their eyes are however fully functional, being able to even detect different colors. Bats are generally classified into two major groups. Megachiroptera group consists of larger bats that mainly feed on fruits and nectar. These bats have bigger eyes with more sight capabilities. They mostly rely on their sight to see food and avoid obstacles in their path. The other group of bats, microchiroptera, generally consists of bats that are smaller in size and feed on insects. These have smaller eyes that are also less developed. Nevertheless, they are able to see clearly during the daytime or in environments with sufficient amount of light. This is how they sense the end of the daytime so that they can start hunting at night. These bats however rely heavily on echolocation to hunt for their prey and also to avoid other objects in their path. Bats that are grouped in the microchiroptera group generally have poorly developed eyes. These nocturnal mammals hunt insects for food at night. To compensate for the poor vision at night, the bats have supersensitive ears. Thus, they use a sonar system to help them locate objects and navigate safely through areas with little light. The method they use is known as echolocation. Bats are able to produce a high pitched sound that is beyond human range. This is produced either through the nose or through the mouth. When the sound hits object that are close, it is reflected back to the bat in form of an echo. Supersensitive ears receive this echo for transmission into the bat’s brain. The brain reads the echo and uses it to establish the size, location, shape and texture of the object reflecting the sound. The bat can thus be able to navigate through obstacles and also to locate and hunt insects. Some bats even apply this property to distinguish insects that are safe to be eaten from those that are not. The high pitched sound produced by the bats can only be heard by humans when a scientist’s bat detector is used. Learn about the mating habits of bats. Bats are the only mammals that can fly. Their body is designed in such a way that enables them to fly easily from one point to another.Their wings consist of a double membrane extended on digits that are spread out. These digits offer strong physical support to the wings. Unlike birds, bats do not flap the whole forelimb. They flap their digits by use of only one muscle. This makes their wings very energy efficient requiring only small amount of energy to fold, unfold and flap. It also enables the mammals to have the capacity to fly for a longer time and also to flap their wings rapidly. Their bones are light to facilitate flying. Smaller bats have smaller wings than the larger bats. This allows the larger bats to fly faster and for longer distances. Smaller bats are however able to turn, hang around and spin with more ease compared to the larger bats. More than 70% of bats are classified in the microchiroptera group. These bats mainly hunt for insects at night for food. They hunt for insects such as flies, cockroaches, mosquitoes, and beetles. Find out how many bugs per night bats eat! These bats usually employ echolocation to hunt for their prey during the night. When they locate their prey, these mammals catch and eat the insects as they fly or trap them in their wings to feed on them later when they go back to their roosts. This action happens very fast and cannot be observed with the naked eyes. Some bats are specialized in feeding on nectar. These will have adapted features such as extended snouts and tongues for getting the nectar. Others will use fresh and sweet tasting fruits for their meals. They would use their mouths to pluck and carry fruits such as pears, oranges, grapes, bananas and watermelons. They will then proceed to eat them in their roosts causing dispersal of the seeds. There are also bats that feed on other animals such as frogs, birds, rodents, fish, lizards, or even other bats. Three species of bats completely depend on blood for survival. These lick blood from domestic animals and birds after biting them. 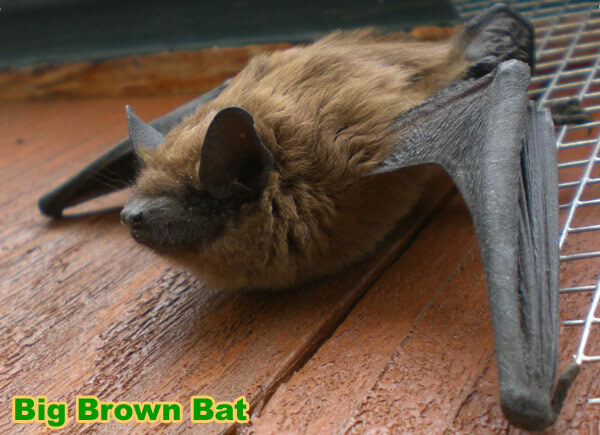 HELP: If you need professional help in solving your bat problem, please click on my Hiring Advice and 2018 Directory of Bat Removal Professionals serving every city in the USA. Go back to my main bats in the attic home page.